Backup all data and nvram. Warning: New black coolpad note 3 users be careful.It is must to take full rom backup through twrp before you proceed (on external sd card).Many reported that this is not working on black and many reported working,so take precautions. Disclaimer: Please do it at your own risk, I am no way responsible if anything goes wrong or you ruin /brick your phone..
7.Now disconnect your phone & reboot.It will stuck on Fastmmi mode written "up down" on screen. 8.Download minimal ADBtool and extract on your desktop.Install that. 9.Connect your device to the computer. 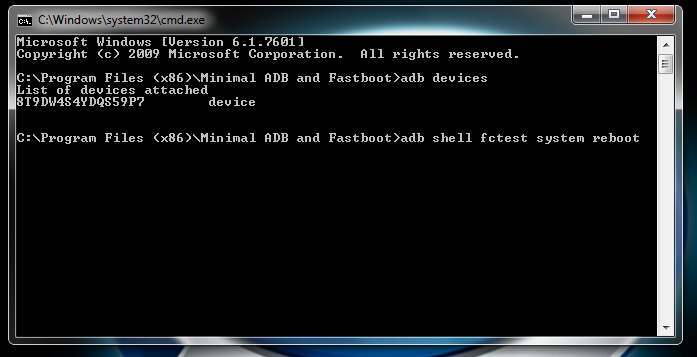 10.Open the adb tool just installed and check device is listed or not by " adb devices " command. 12.Now phone is switched on,do the onscreen settings. Try article on this blog"How to update rooted cpn3 to v24"
Hope for more good works form you.!! Root your mobile.Enter in engg. mode by dialing *20121220# and Select Engineer mode (MTK),Go to Connectivity Tab and Select CDS information.Select Radio Information after that Select Phone1,type there “AT +EGMR=1,7,”IMEI_1"(you will get your IMEI number on your phone's box).Hit send command. Now go back and select “Phone2".type there “AT +EGMR=1,10,”IMEI_2"(your second IMEI number),Hit send command and Restart your phone. 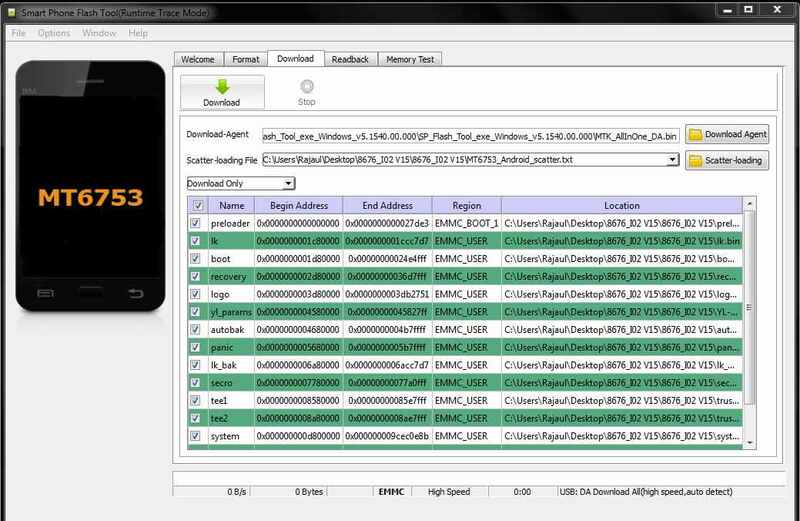 uninstall mtk logger through "system app remover" on play store. V34 ROM is having no problem with Black Coolpad Note 3.Try flashing that. CPN3 ROM is encrypted thats why we need additional steps. I haven't faced any problem during restore till date. Which partition should be backed up during twrp backup in cpn3? There are so many partition to be backed up...pl.sir tell me @system@data@boot is sufficient? Why asking this question? Haven't you read above article after step 7? Press Volume up+Volume down+Power button simultaneously after switch off phone. Stock ROM is unrooted, so you will definitely loose your root.But you can root it again using guide given in this blog.Custom ROM porting for this device is complicated, still we are trying and will be updated here whenever available. After installing this stock ROM, is it posiible to install updates from wireless Update? Yes, you will be able to install updates over the air. Oh great Thank you so much. i think,have to wipe all the partitions Right? Wiping partitions may erase IMEI,so I will suggest to avoid that.Also take nvram backup before doing anything. I installed this ROM,when i enter into recovery mode by manually its showing "no command",i tried by installing some custom recoveries and those are also not working same result "no command". what to do now.pls help. Sir...will it be OK of I uninstall that MTKlogger?....and one more thing,when I rebbot my phone,the word "FACTORY" comes on the top left side of the screen...why is it coming sir? Done....thanks again...is 360 os having customising options like miui? Miui and 360 are totally different ROMs,both have their own merits/demerits.360 OS is known for their security features and unlimited cloud storage.But 360 OS for CPN3 is still in "Work on Progress" mode,LOL.It is not suitable for day to day use due to its SMS bug,I am working on it. i lost my device ? No,this command works in this mobile also,Already tested on rooted stock ROM.Few things to be remember during this method: Device must be rooted,Give space between AT and +. Thank you Sir, You are really great!!!!!!!!! Kewal root karne se IMEI nikal jaye,aisa nahi hota.Tell me what exactly you have done.Regarding IMEI restore method,if your phone is rooted then follow as said in the answer of third number comment in this page. sir mera mo no 7048685534 imei-1 911478800425460 sir koi upaye btaya...bahu ahesan hoga..
Sir...my device is rooted...and I've got a new system update v024...since I've installed the custom recovery the installation of the update is getting aborted...can u tell me how to update the device manually? Stuck at logo or up down screen? Don't flash recovery flashable rom,use spflashable ROM. sie, did u created the update file for rooted phones???? Sir when will there be a stable version of AOSP ROM for coolpad note 3 updated? Try resetting phone and erasing everything from internal storage. 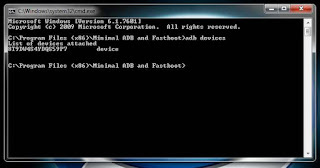 adb device detection is must,without that phone will not boot.Try reinstalling drivers,if fail,contact service center. Hi Sir I have tried to root the phone but i bricked but i managed to unbrick it by your given processor but There is no IMEI available in the phone I tried above method but it says "this command in not allowed in user build please help. and it says "this command not allowed in userbuild"
You tried command after rooting phone or on unrooted phone? Use imei restoration article from this blog. sir srom installed but sim is not working only BSNL sim work what to do ? Hardware version P1 not showing after flashing firmware. Thanks for all your work. Really appreciate ur work. I purchased this phone recently and the software version was V20 which i updated to V24. I have already rooted the phone. Now I want to do a clean installation of stock rom. The version which is available on ur site is V15 whereas my preloaded software was V20. Just wanted to check with you, will there be an issue if i flash V15 instead of V20 and is there anyway i can get V20 or V24 stock firmware.Please help. No,there will be no issue if you follow instructions carefully and you can either upgrade from V15 to V24 directly over the air or can upgrade manually from V15 to V20 then V24 or V15 to V24. I have installed 360 os rom and working like charm.. But unable to check updates.. Is this possible in this ROM to get OTA updates. I don't have this mobile,so unable to make.Vote for me in coolpad theme contest by posting my theme's screenshot there.If I will win,I will try to make. After loading scatter file and clicking on download no files seem to be downloading/downloaded. Any solutions bro? I have a coolpad note 3 that went into a bootloop after failed legit system update (from V502 to V503). Seems you are on newer version of coolpad note 3,if you have backup restore that otherwise contact service center as coolpad haven't released stock rom for newer version of CN3. Can you tell me...that this process will help me to unbrick coolpad note 3 lite...?? same process but use coolpad Note 3 lite stock rom. yes but internal memory puri tarah erase ho jayegi. Hello I am not able to go pass the fifth step. The green window never pops up and also the red bar never appears. Pls help. I have a CPN3Lite. I have downloaded the CPN3L stock rom from forums. What to do? Well, I had the same problem and I checked the SP Flash Tools' help section and found my answer. After clicking the download button, we just have to power on the device and the process will start. Still this is showing "factory mode" so how get exit from factory mode. I want any minimal adb command to do that so can you tell me the code ?? I am not root user ,and i want to make backup of stock rom so that i install it when i want , if bychance i not like upcoming ota updates or it may create any issue , find the way how i make backup of current stock rom and after installation . I did everything from start till step 7 correctly. After that, my device is not getting listed and so, I am not able to do anything ahead. Please help fast! I had V024 by default in my phone, but, it had many bugs and due to some problems, I even uninstalled it and then, I am installing this. But, even after doing everything correctly, I am getting only up-down lines. Please help fast! Shall I give this to service center? I do not have much days! I would be away for the whole May month! Please help fast! Adb method not working to reboot?Try with V34 rom. I'm using vetas os how can I flash this ROM ? Brother please help me I can't flash scattered files it can't be downloaded what should I do ?? i cant download scatter files through this process the green popup will not comes and the red line are also not indicating my version is 20 what should i do now ? scattered files cant be downloaded what should i do ?? 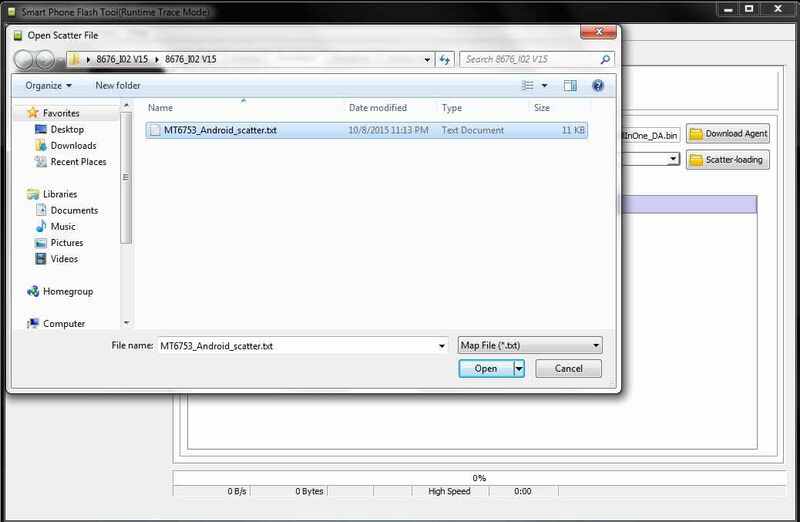 Scatter file is included inside ROM's folder. i've tried all the method you provided and other on google nothing seems to work, i bricked my phone now i cant make a call , please help me asap. when iam trying to type any random imei its working but not supporting original? Thanks bro for your help.Im stuck at up down screen when i try to execute the command it says more than one emulators and device.Please help me. cannot find device what i do now? Hello sir. I installed os360 and it worked perfect. Then I reboot. My phone turn on and it shows "coolpad" , =>Root on the top, I can't get into recovery mode. It shows a broken Android logo. Flashboot won't work. What I do ? Im using CPN3L. Sir, i have successfully done it. Thank you so much, received all OTA updates upto 036. But i want to know, how did you get this untouched rom. Rajaul bhai, I obey my sincere thanks to you. Please accept it. you have saved my life. I tried to root my phone from kingo root and damn, it was bricked. I was helpless. I saw your post and after reading your disclaimer I was afraid to make a move. however, I did not have much choice. I went with whatever you said and followed it step tpo step. Woo Hoo!!! I restored my phone. Thank you very much. I would like to repay you for your kind deed, let me know how I may. 1 question though, now when the phone gets on it says factory 1, anyway to get rid off it? my device was rooted and i was tried to update in a marshmallow it get updated but at the end it was shown no command so i updated it firmware as like it was but now it showing volume's up down keys on the screen please help what i need to do . My cn3l phone stuck at bootloop what to do know? Any help to enable USB debugging on bricked cpnl3 would be great, or service center will able to correct this? i tried to sp flashmy coolpad note 3 using ur method and 1st time i failed but i succeeded 2nd time.thnks a lot sir. but only one problem there. everytime i boot, factory is written on top left corner of boot screen though it is not causing any prob, do want to knw if there is a fix to it? Hey Admin I Am Facing Up And DOwn Screen...! I was trying to update the phone to coolpad 8.0 UI i.e. marshmellow, however now my phone is stuck on ablack screen. 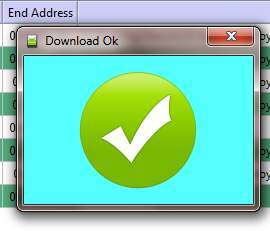 i have used SP_Flash_Tool_v5.1628_Win to flash the phone. i have tried the below firmwares but the result is still the same. i have also tried the adb commands but they fail. i would appreciate your help to get the phone up and running. bro do flashing the stock rom vill get back the companies warranty. hello My i install this rom in my coolpad but phone going to up & down screen.. plzz out me from this problem..
Is marshmallow rom available for coolpad note 3 plus? You have to check yourself brother, what is the cause for this problem? May be drivers issue, usb port or cable issue. So try with other usb cable or try changing ports. Try on other pc. my coolpad note 3 was in a bootloop after a custom rom flashing and this saved me from "SOFT#BRICK"
I flashed as u described but now i cant root it using kingroot and cant enter stock recovery pls help. i rooted my coolpad note 3 lite using twrp recovery. i using 360 os in my phone. its a good os but i want to unroot my phone with original stock os with finger print options. my device is not listed in adb tool.